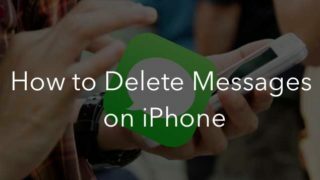 If one day you meet the challenge of lack of space on your iPhone/iPad or iCloud, it is not necessary to remove all the applications permanently or to buy more storage space. Often, a lot of memory is occupied by the so-called “Documents and Data” of the apps. 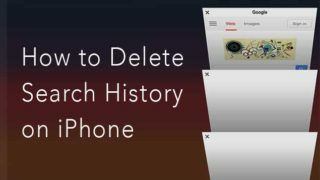 Removing them may free up several gigabytes on your device. 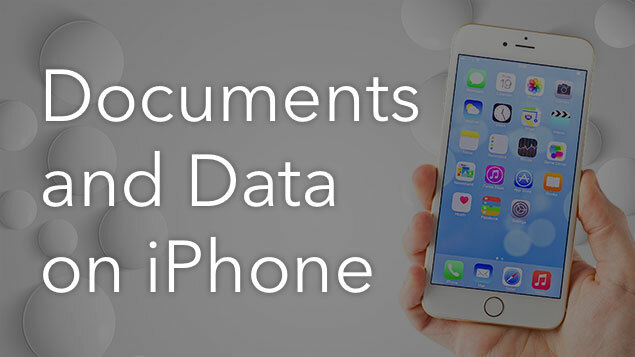 What is “Documents and Data” on the iPhone? 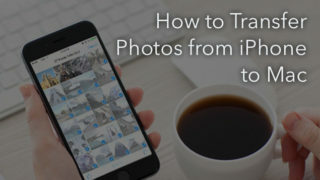 Any iOS-device stores two types of “Documents and Data.” The first type are located directly on the device and occupy the internal memory, while the second are stored in the iCloud, which also stores data of installed programs. Each application keeps related files and documents in its folder. For example, if you use the Document Viewer, Messenger or Mail, then all the files you open via the app are stored in its “Documents and Data” folder. Caches, logs and all types of service files are also stored in this folder. Note that when you clear the “Documents and Data” folder, all the files in it will be removed irreversibly. The documents and data of some apps are a requirement and it is prohibited to delete them. For example, Spotify provides offline listening to the tracks. If you remove some important service files, you will not be able to fully use the app. But there are other programs which don’t strictly require documents and data. 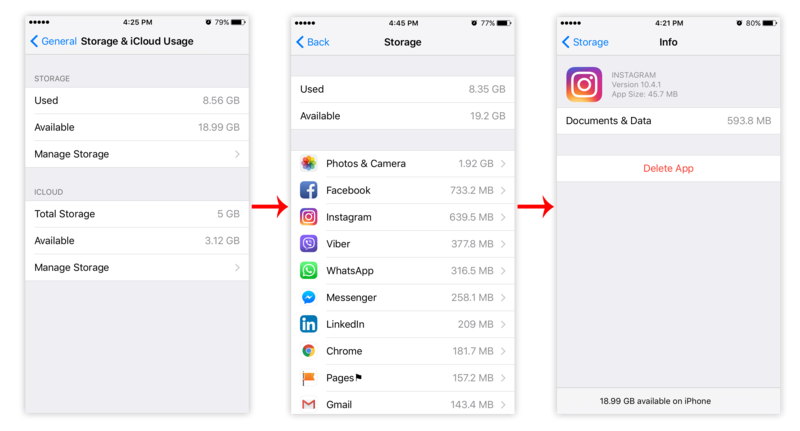 Instagram, for instance, which carries a “weight” of 32 megabytes, can take up to one gigabyte of free space. The easiest way to remove “Documents and Data” on your device is to reinstall the application. You can remove Instagram or Facebook and reinstall them and no data will be lost. This works in similar fashion with online games (for offline gameplay information may be lost), which can easily occupy hundreds of megabytes to a couple of gigabytes. 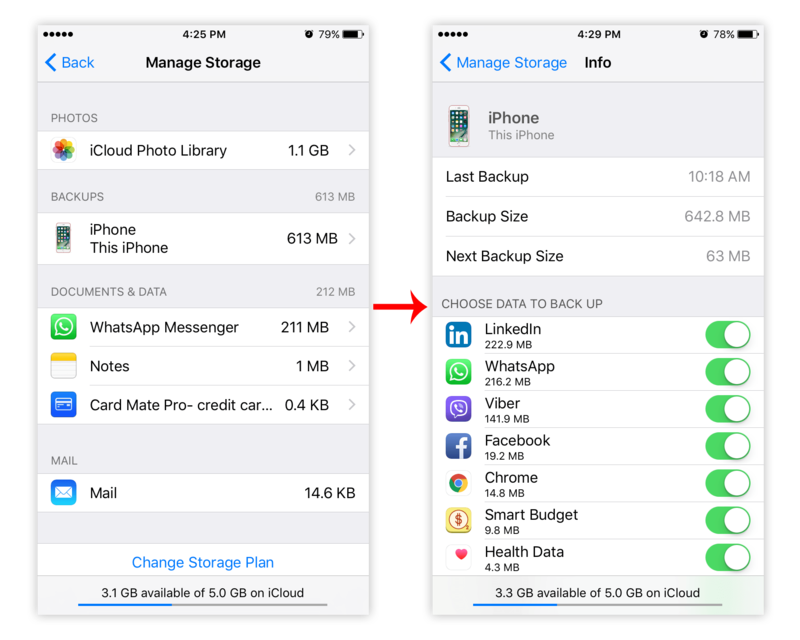 To remove apps go to Settings → General → Storage & iCloud Usage → click Manage Storage in the Storage section. How to clear Documents and Data in iCloud storage? Surprisingly, deleting “Documents and Data” can easily free up to one gigabyte in iCloud. Again, go to Storage & iCloud Usage → click Manage Storage in the iCloud section. 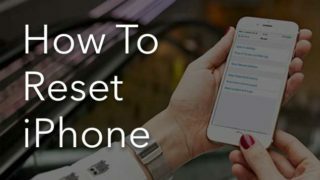 Here you may discover which items take up the most storage on your iPhone and why there is not enough memory for making iPhone backups. For example, you may have iBooks files that you don’t need; but they take up gigabytes. Here you can also manage backup settings and turn off unneeded apps from being saved. If you have only 5GB of available iCloud pace, even an additional 0.5 GB is like a breath of fresh air. Try to delete “Documents and Data.” It’s definitely worth it and may clear much-needed space on your iPhone. 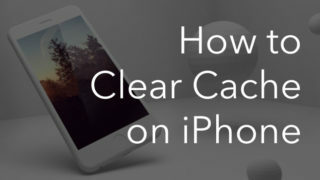 Get a free Phone Cleaner for Media Files, which allows you to free up iPhone storage in minutes.